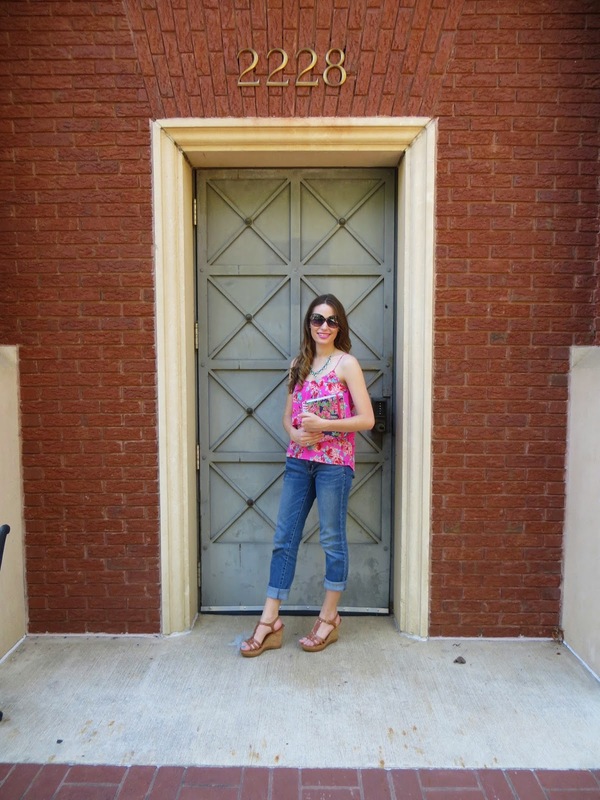 OOTD: Last Call for Summer. I cannot believe the weather lately! It snowed at home in Maine over the weekend, as well as in parts of the Carolinas. Thank goodness that Charlotte didn't get any snow (WAY too early for that! ), but it was still quite frigid here in the Queens City! Yet not even a week ago it was in the 70s and 80s here, and it still felt like summer outside. I took advantage of that last little bit of warm weather and wore the outfit that's pictured here on one of the warmest days! I got this top while shopping on Newbury Street in Boston this summer during my trip there for the #BloggersTakeBoston meet-up. 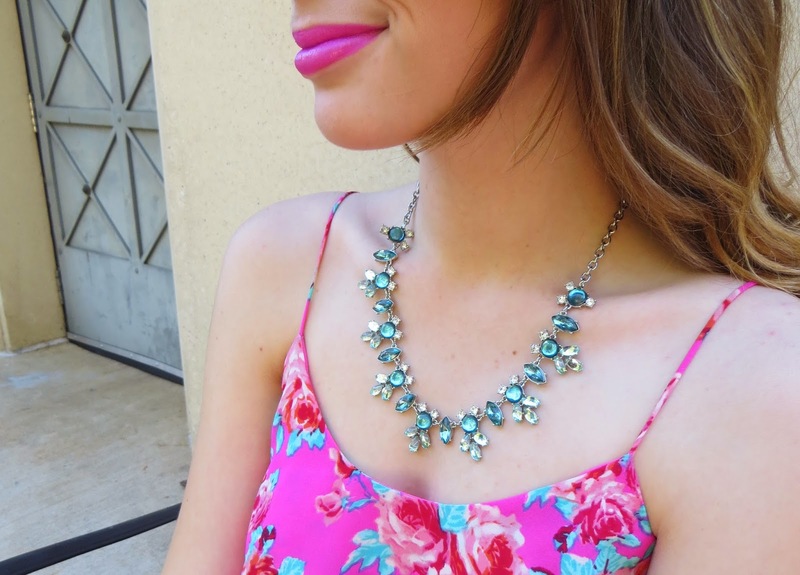 The beautiful pink color and fun floral pattern made it one of my favorite tops to wear this summer. Sadly though, no matter how I layer it, it's just not a winter appropriate top! So I knew that I had to wear it one last time for this season while I still had the chance. 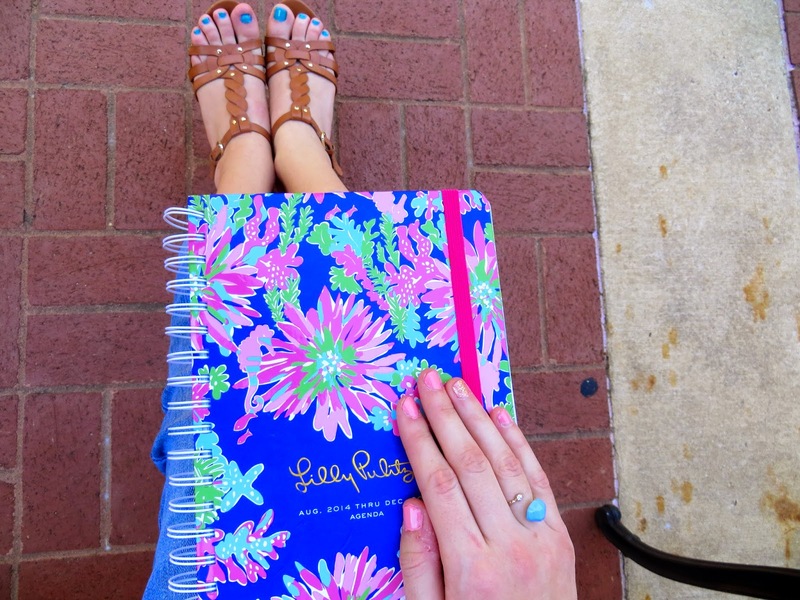 (I also was secretly giddy about how well it coordinated with my Lilly agenda! #girlprobs) And I am wearing my ring from Soulful Ceramics, which is one of my blog sponsors! This ring can match just about any outfit, and it's such a beautiful shade of blue. Be sure to click on the Soulful Ceramics ad on the homepage of my blog to visit their site and check out their other jewelry items!! I have a very busy week coming up! It is Diamond Days for Alpha Delta Pi, which is initiation week for our new members. I cannot believe that it has already been over a year since my own Diamond Days and when I went through initiation! Anyways, I am busy crafting and getting other gifts ready for my sweet Little. I also have a group debate project in one of my communications classes this week, and I am busy applying for new internships for next semester. Never a dull moment! 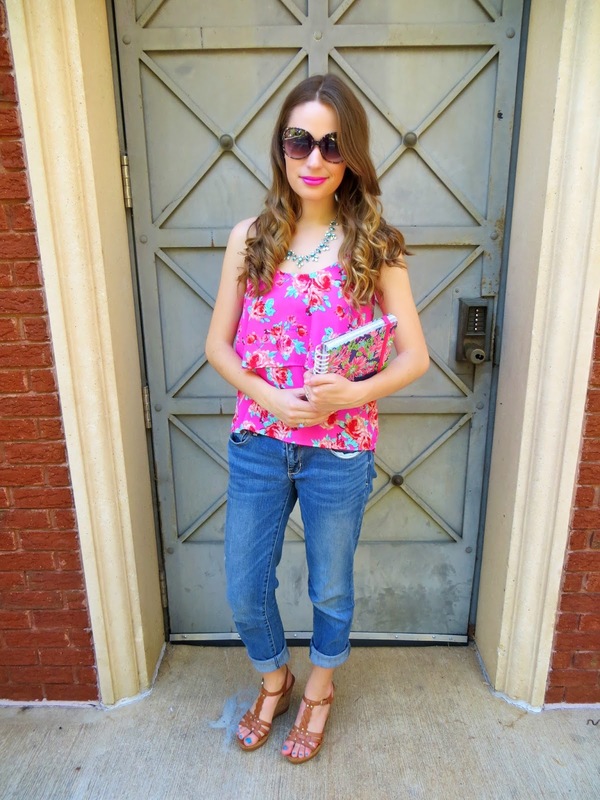 I'm in love with your floral top, especially seeing it next to your Lilly agenda-I almost thought it was a Lilly top! love the top with the pink lipstick! Thankfulness + Black Friday preview. OOTD: The perfect sweater dress. 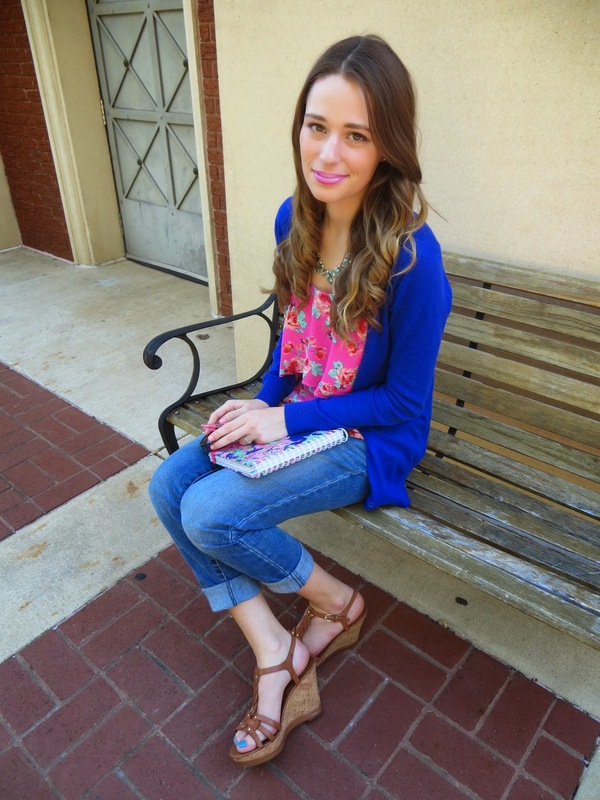 OOTD: Home brings out my #SmileStyle.